After months of constant research, feedback and development we are super excited to introduce the best soccer and football predictions marketplace Confirmbets.com. Confirmbets is a platform that connects experts and tipsters from around the world with punters. we provide detailed reports and history of every expert to help sports bettors make an informed decision on the best experts to follow. 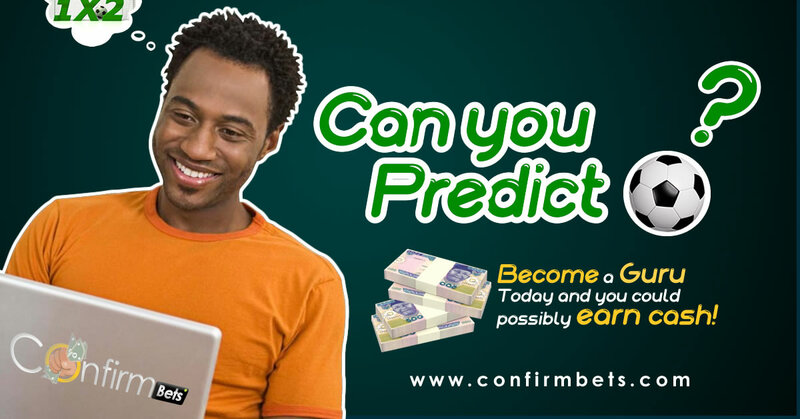 Confirmbets helps punters who have difficulty predicting outcomes of soccer matches to leverage on advice from experts and tipsters to make a decent amount of money from bookmakers. These are generally new users, their soccer predictions are free and are available on our website. Confirmbets has very limited information about these users. 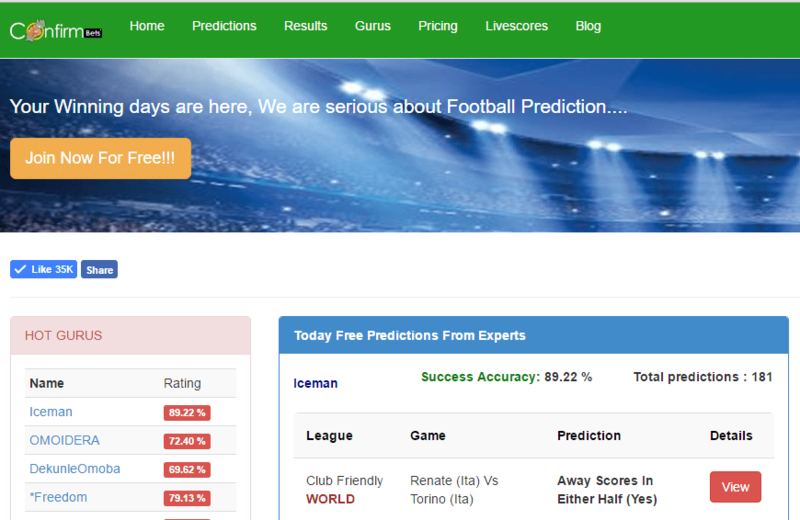 These are users who signup to our platform for free and paid football predictions from experts on the platform. These users view predictions on our website, social platforms like our facebook page, email or via SMS. 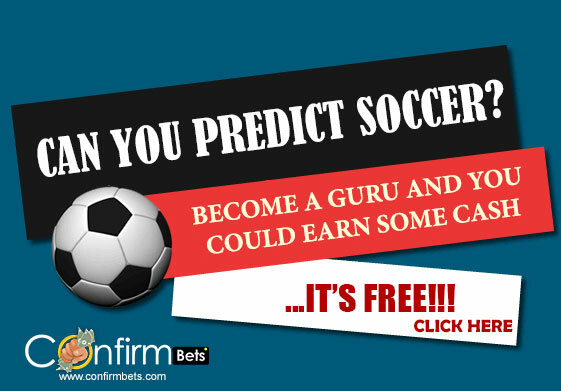 For Free football predictions click here to get started. Confirmbets currently covers over 60 football leagues with plans to add more in the near future. 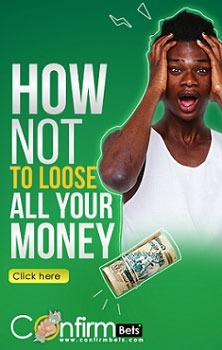 We also offer betcodes from the major sports betting websites like Bet9ja, Nairabet, Surebet247 and Merrybet. As you may know sports betting has a large set of markets you can choose to stake on, we currently cover the following markets. A comprehensive list of the leagues we cover Click Here. To start enjoying our football predictions. Visit our Website. You are just good guys at this soccer predictions. I really want to be in touch with you always . Keep it up!